Read the lesson. Watch the video. Do the exercises. Coming to terms with alpha channels (or masks) is the most sure-fire way to boost the quality of your work in Photoshop. But masking isn't easy-in fact, the elusive alpha channel has been described as the least understood feature in Photoshop's enormous arsenal. And more. 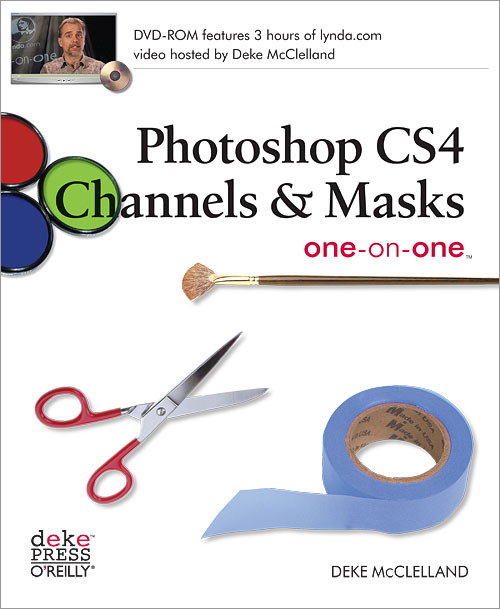 Photoshop CS4 Channels & Masks One-on-One simulates a classroom environment that provides one-on-one attention as you proceed from lesson to lesson. You'll learn to use Photoshop faster, more creatively, and more efficiently than you thought possible.